Your response to Thames Water’s Phase 2 consultation on the Thames Tunnel indicated your ‘acceptance’ of the use of the Chambers Wharf site, subject to ‘further appropriate work’ and stated your support for the use of Chambers Wharf instead of Kings Stairs Gardens. In a letter to Thames Water dated 27th March you stated that the use of Chambers Wharf was ‘intolerable’ to residents and demanded a reassessment of alternative sites. Please clarify your position on this. Have you withdrawn your consultation response as Mayor in light of your subsequent statements? I have not withdrawn my consultation response as this contained a great many generic points relating to the proposals as well as over 200 specific points relating to the numerous proposed construction sites. It has become clear to me that both the overall cost of the project and the impact at a number of specific sites, Chambers Wharf being one, appeared excessive. Thames Water has recently published its response to the consultation exercise and I will closely examine the company’s report on the issues raised but I am disappointed that there is not more within it to limit disruption and reduce costs. Posted in Planning, River Thames. Sellar, the developer responsible for the Shard at London Bridge, has unveiled its early proposals for the redevelopment of the Decathlon and What!!! 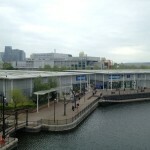 Stores sites at Canada Water. At a public exhibition at Canada Water Library the company has set out two options for the development of the site: one featuring a single tall tower surrounded by low-rise buildings and another configuration with two shorter towers. Sellar plans to incorporate up to 1,000 homes into the development which will include a new Decathlon store and other retail units. The master plan architects are MacCreanor Lavington and David Chipperfield Architects have also been engaged. In light of the feedback that we have received, we believe that no new information has been highlighted that would change the conclusions of our site selection process to date. Chambers Wharf therefore remains our preferred site to drive the main tunnel to Abbey Mills Pumping Station and receive the main tunnel from Kirtling Street; and the long connection tunnel from Greenwich Pumping Station. Additionally, no new information or issues have been identified that would fundamentally change our proposals for this site. Therefore we will continue to develop the proposals for this site that we published at phase two consultation. appropriate arrangements for cross borough monitoring of the construction phases where relevant in the Code of construction practice. It’s disgraceful that Thames Water are ploughing on with their plans to use Chamber’s Wharf for part of the Super Sewer. The community, the council, the Mayor of London and the local MP are all opposed to the use of this site. It seems Thames Water are only listening to their shareholders. We have fought this proposal at every opportunity as we can find no possible justification for placing a major building site in the middle of a densely residential area and right next to a primary school. We have consistently argued that the disruption caused by 24 hour HGV traffic and drilling will blight lives for years to come. It beggars belief that these arguments have fallen on deaf ears. Thames Water don’t even appear to acknowledge the petition presented to them by the pupils of Riverside Primary School. They should have closed this issue for good, but are instead just railroading opposition. 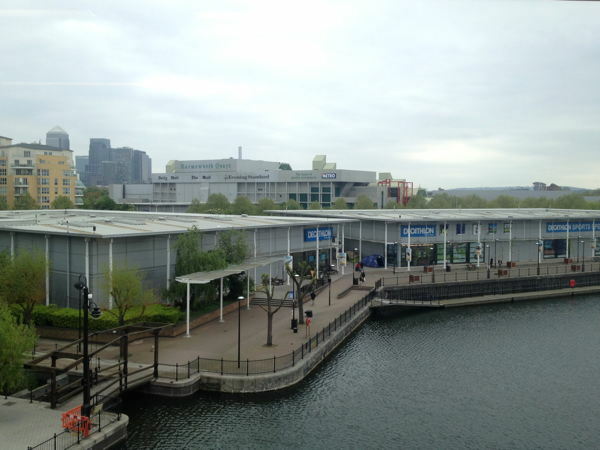 The owners of Surrey Quays Shopping Centre have announced that work will start on an extension to the building in early 2013 with completion expected in mid-2014. The centre is jointly owned by British Land and Tesco who plan to add 18 new shops and restaurants to the complex. Southwark’s planning committee unanimously approved the extension plans in March but councillors turned down an application for a new double-decker car park. “The approval for the Surrey Quays Shopping Centre extension is important for the wider regeneration of Canada Water and Rotherhithe and demonstrates our commitment to the area,” says David Pollock, retail development manager for British Land. Developer Hollybrook Homes has submitted an application to Southwark Council for the conversion of the old Bermondsey Town Hall in Spa Road. Conversion of Grade II listed building from B1 offices to provide 41 residential units (Use Class C3). Erection of a roof extension to the existing second floor and internal alterations; incorporating, addition of lightwells along the western boundary and external alterations to the car parking layout, refuse area and cycle parking with associated landscaping.